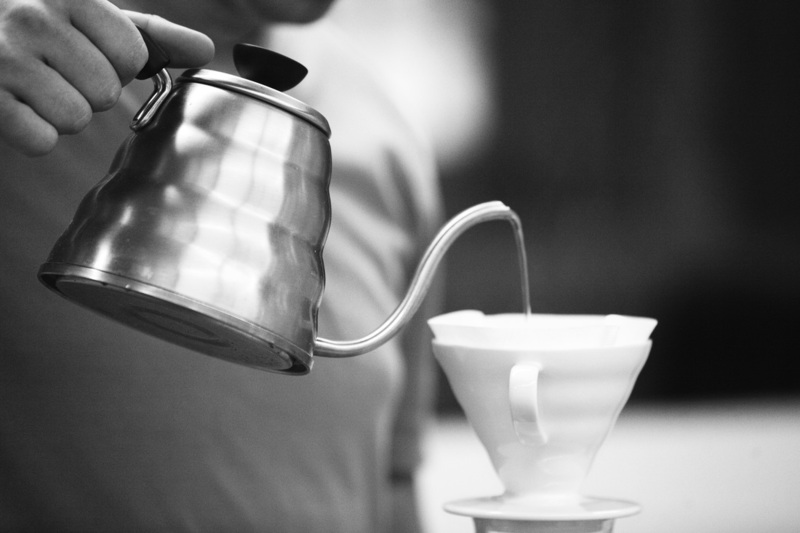 Pour over is our favorite way to enjoy a single cup of light to medium roasted coffee. 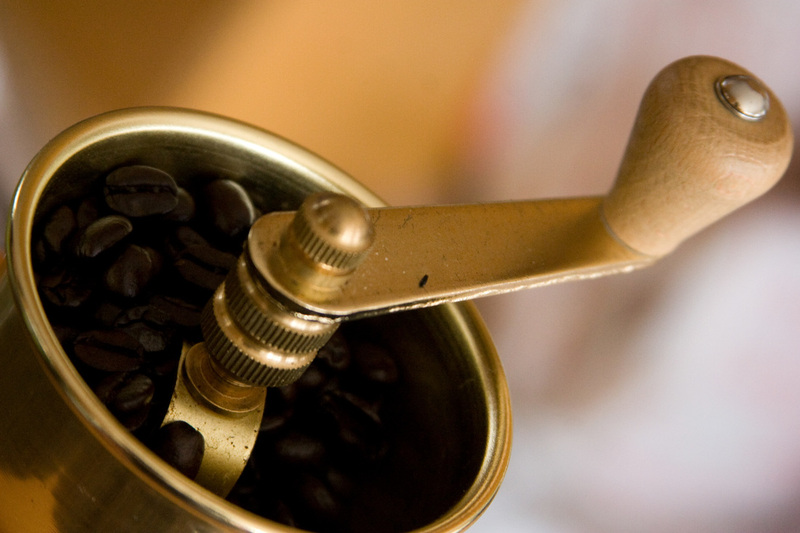 This method yields a beautifully clean cup that bring out the bright notes in our coffees. As your water is brought to a boil, weigh out 23g of Phillies Bridge Coffee. Grind the coffee to a medium/fine grind (roughly the size of table salt). The water should take 2:45-3:15 to pass through the Hario v60. Adjust your grind size accordingly. Place the Hario v60 on top of a mug, then place the filter into the Hario v60. Before putting the coffee into the filter, we like to pre-wet the filter to remove any paper flavors that may leach into the coffee. After pre-wetting the filter, discard the water from the mug. and place the v60 w/filter back on the mug. Place the ground coffee in the filter and place the mug and Hario v60 on a scale. Tare the scale. Once your water begins to boil, turn off the heat and start your timer. Let the water cool for 30 seconds. Then reset, and restart, the timer. Begin pouring the water over the coffee by starting in the center and spiraling toward the perimeter of the circle. Once all the grinds are saturated, allow the coffee to bloom (expand) for 30 seconds then stir the grinds. Begin pouring the water again, covering the grinds. Continue pouring slowly until reaching 360 grams.